Book to read by water, a glass of wine and cheese! Home >Blog > Book to read, a glass of wine and cheese! Sales person Kim Stime's Outlook on reading. I have so few passions in my life that an outsider might think of me as boring and old, but I am a very happy camper, if I am by water with a book, a glass of wine and a wedge of cheese! So why is it that the 20 and 30 year olds of our time, do not want to read anymore? Whatever happened to the intrigue of characters in a story that you start to love and feel like they are like family by the time you finish the book? Are books being replaced by videos? I so hope not! If we are at the point, in our younger generations that we have to make reading more fun and interactive, then why not introduce them to American Slide-Chart products. We create and produce all of our products that spin, slide or pop! Finding the answers is not only fun but also educational. 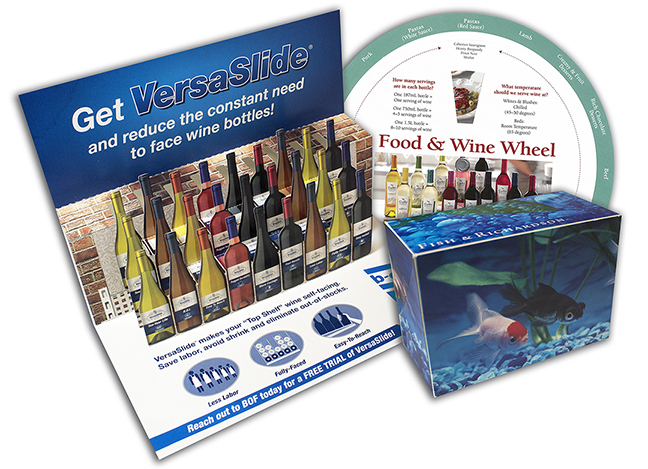 Our products can be used in sales kits, direct mail, trade shows or simply drive potential buyers to a website. Check us out at www.americanperrygraf.com!